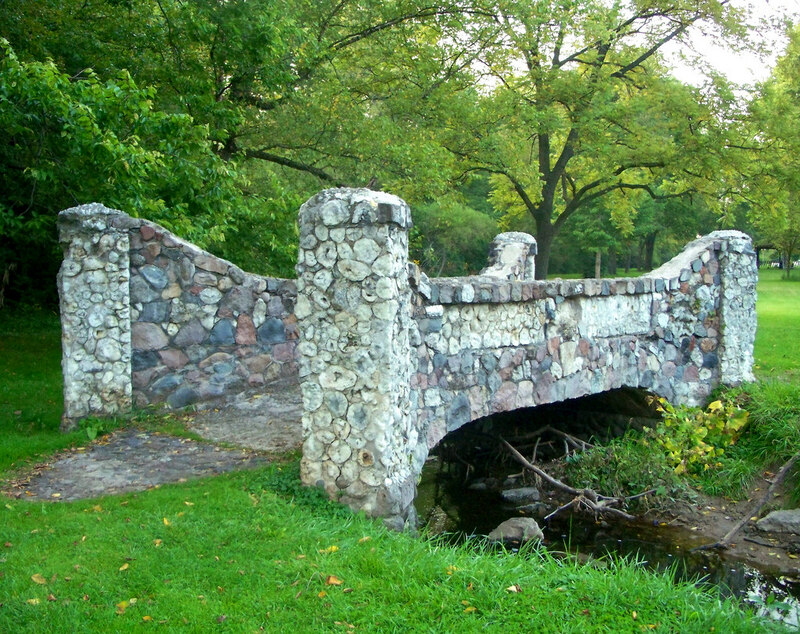 Geode bridge; Mount Pleasant, Iowa. Photo by Jo Naylor/Flickr (Use Permitted with Attribution). The area around Keokuk, Iowa is famed for the beauty of the geodes found here. Commonly called "Keokuk geodes," they are sought after by collectors and museums around the world. The word "geode" is of Greek origin and means earth-like; geodes are shaped like the earth with a hard outer shell that when cut reveals a core of sparkling mineral crystals (usually quartz and calcite). Southeastern Iowa is one of the state's best geode collecting areas. 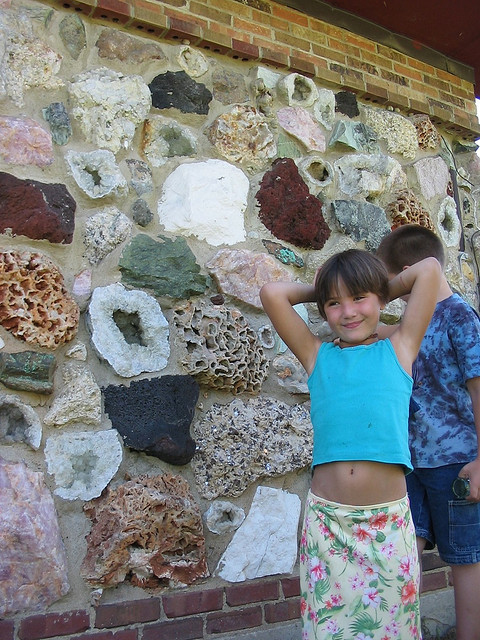 Geode State Park, in Henry County, is named for the occurrence of geodes. The geode is also the state rock of Oregon (thunderegg). Iowa Rock Shop; photo by Curtis Newton on Flickr (noncommercial use permitted with attribution / share alike). 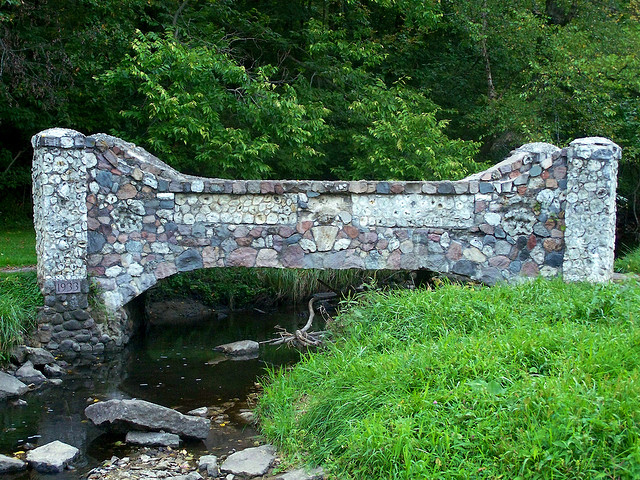 Geode bridge in Iowa; photo by Jo Naylor on Flickr (use permitted with attribution).